A classy candle for a special event! 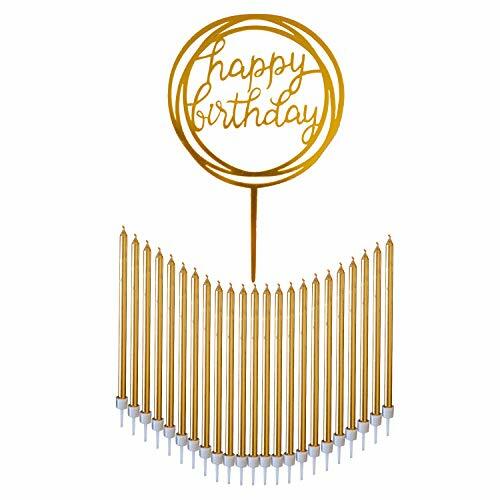 Celebrate that special person with candles as unique as they are!These delightful metallic gold birthday candles and large matching gold cake topper will beautify any cake and will make any person's special day even more special! Each candle has its own holder which not only helps keep the cake wax-free, but also adds height to the candles, giving them a fancy, elegant and tall look.Everyone wants to have a cake that stands out!Each pack comes with 24 metallic gold candles, 24 candle holders, and 1 matching gold cake topper.Features:Gold candles are 100% Paraffin-wax with a sleek gold finish. Cake topper is made from plastic.Dimensions for birthday candles: Approximately 5.5 inches with candle holder (4.5 inches without).Dimensions for cake topper: Approximately: 4.25 inches wide x 7 inches tall.Safe and non-toxic.Benefits:Having a shiny and sleek candle gives the event a stylish feel. Never have a dull event again! With a candle holder to stop the melting wax, you won't have to worry about it getting on your cake!Candles are slow burning. Perfect for plenty of birthday pictures!NOTE: Remove thin protective film from cake topper before use. 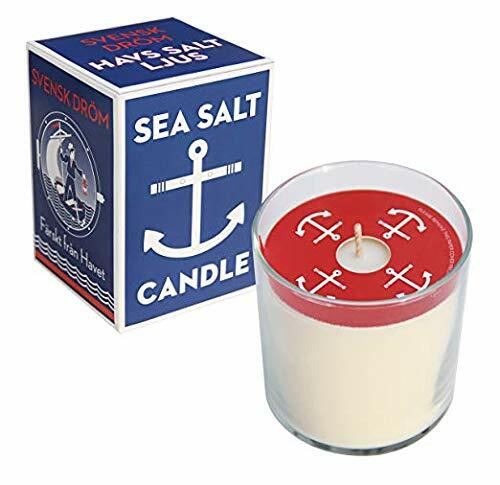 Fresh from the sea to light up your day comes the Sea Salt Candle. This candle is made with pure 100% U.S. grown G.M.O. free soy wax. Its scent is the orginal Swedish Dream salty formua. 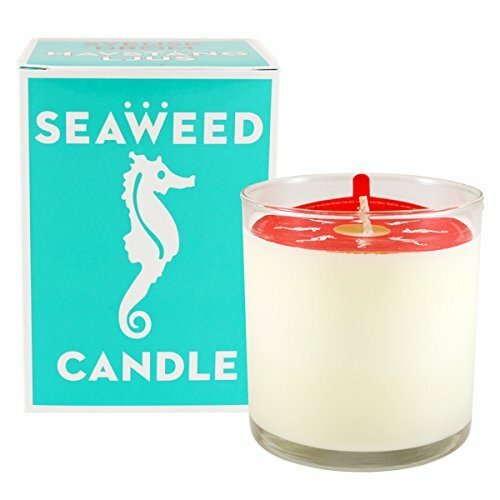 The heady sea salty fragrance will open your space of mind as the candle burns. This 10 oz., 80 hours burn candle has been hand made in America. The soy wax burns clean, is biodegradable, and non- toxic. The wick is pure cotton. 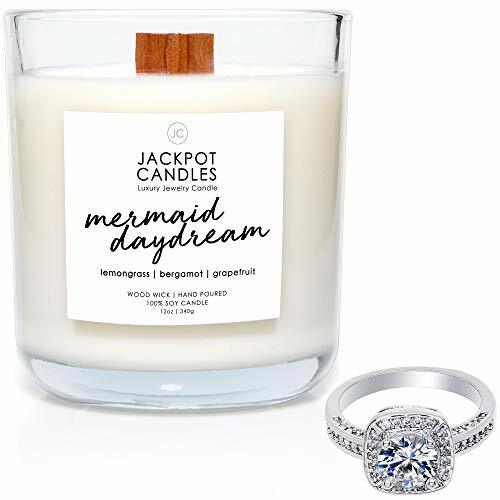 Feel the freshness all around you whenever you light your Mermaid Day Dream Candle with Jewelry! Enjoy citrus-soaked marine scents mixed with fresh spearmint waves and floral notes for a relaxing atmosphere that will gently soothe your mind and body. Whether you are on the go or cozy at home, enjoy the perfect balance of a sprig of seaside mint scent all around you! Made with natural soy wax which is all about sustainability; this wooden wick candle also contains a special jewelry surprise for you to discover. Once the wick of your candle burns low enough you can uncover your ring worth $15 - $5,000 that's hidden inside! 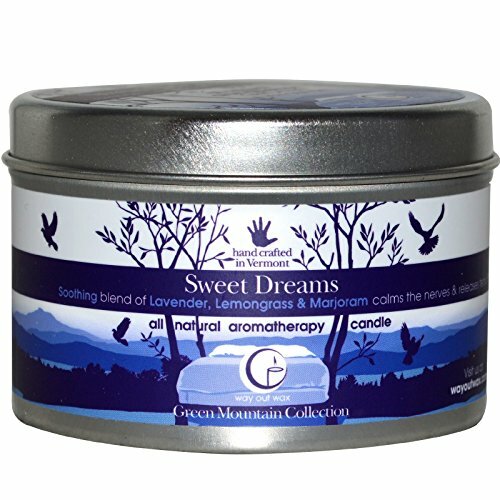 Way Out Wax Sweet Dreams Large Travel Tin 6.7 oz. Soothing blend of Lavender, Lemongrass & Marjoram calms nerves and releases the tension. Burn Time: 40 Hours. Aromatherapy-100% pure natural oils. Ingredients: Pure essential oils of Lavender, Lemongrass, Marjoram in a base of GMO-free soy wax, unbleached cotton/hemp wick. Handcrafted in Vermont, Cruelty Free, Recycled Packaging. No perfumes, dyes, boosters or additives. 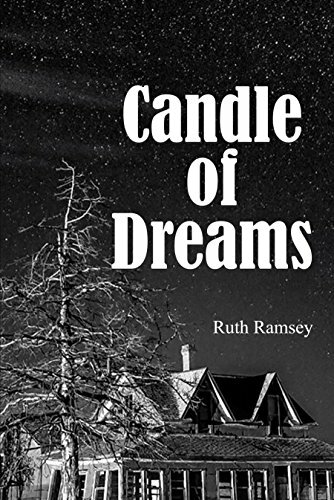 Candle of Dreams is a bittersweet love story of the triangle of Matt, Coral Lee and Micah, told from their different perspectives against the backdrop of the dirty thirties. Matt’s family wanders westward down Route 66 from Missouri, drifting from town to town in an old battered truck towards the dream of a better life in California. Out of money, they stop at Daniel Gillespie’s farm in western Oklahoma, looking for work. When Gillespie hires Matt and his father, the stage is set. It is then that Matt and Coral Lee see each other for the first time. Initially their interactions are uncomfortable but they are drawn inexorably together as moths to a flame. 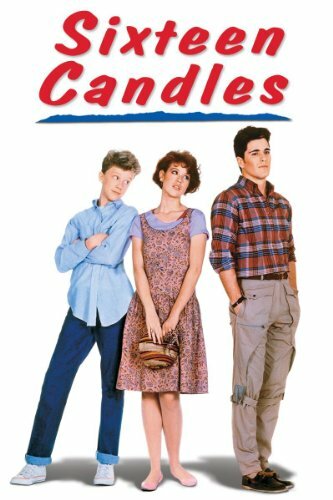 Micah, driven by jealousy, sets events into motion that will burn the memory of that summer into their hearts for the rest of their lives. This listing is for one 8.5 oz candle. -- The burn time on this candle is approximately 50-60 hours. Keep your wicks trimmed to maximize burn times. -- This candle is dye free and scented with lavender fragrance. -- Candles are handmade in NC using only high quality ingredients. Candle labels are professionally printed on waterproof, high-gloss paper. Labels are completely transparent, but upon close inspection the label edge will be visible. 2 Pc Mermaid Dreams Pink Sands Scented Candle And Bath &Body Works Hand Gel. 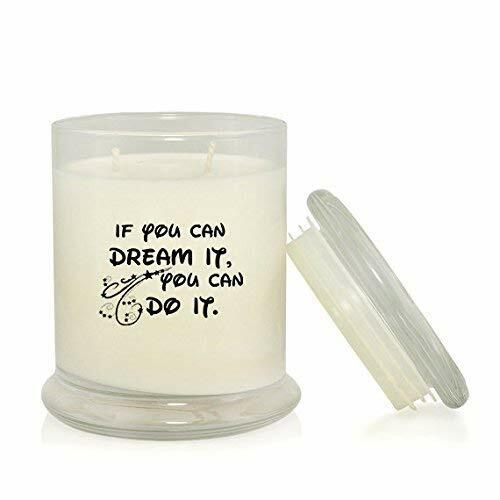 Want more Dreams Candle similar ideas? Try to explore these searches: Ergonomic Industrial Footrest, Manual Valve Kit, and Sleeve Capri Set.